Kenya is like mini-Africa. It has something from many of the continent's most precious features, so if you only ever visit one African country then this is an excellent choice. The best places to stay in Kenya reflect this diversity - you'll find everything from city pads, to luxury safari lodges, to beach resorts. Kenya offers some wonderful wildlife-spotting opportunities on the grassy plains of the Masai Mara and in the folds of the Rift Valley, whilst the Tsavo National Park is regarded as one of the best places in Africa to see elephants, lions and leopards. Kenya has some of the world's best game reserves, and depending where you go you can see giraffes, lions, leopards and huge herds of zebras, buffalo and wildebeest. If you're here for the annual wildebeest migration consider trying to see it from a balloon safari… Northern Kenya is home to some fascinating tribes still living a more traditional lifestyle, so if you're interested in a cultural as well as animal experience then head north. And, it's one of the world's top birdwatching destinations. Kenya also has some spectacularly white Indian Ocean beaches, palm-fringed on one side and colourful with coral gardens on the other. Adventure seekers should scale the 4985m tall Mount Kenya, Africa's second largest after Kilimanjaro (it takes 3 days to reach the summit). Whilst it may be long, this isn't a hard hike - having a can-do attitude and being in reasonably good health are sufficient to get you to the top! The Watamu National Marine Park is an excellent spot to go snorkelling or diving. With a wide variety of marine life including dolphins, turtles, octopus and more there's is masses to see. You can also view it from a glass boat if you don't fancy getting your hair wet! Jump on the famous 'Lunatic Express', a colonial Victorian-era railway line that runs between Nairobi and Mombasa. A great way to see the country. Be sure to spend a day at the David Sheldrick Wildlife Trust, a safe haven where they rear orphaned baby elephants before returning them to the wild. You'll fall in love with the playful (and often mischievous!) elephants, and you can learn all about the animal as well as the trust's conservation efforts. Diani Beach, located just south of Mombasa, is a spectacular spot - with gorgeous white sands and turquoise water. There are a number of activities on offer, or you can simply relax and marvel at your divine surroundings. Don't forget that if you want to book a room in one of the best place to stay in Kenya during peak season, you'll need to be organised and plan well ahead. The top hotels are always popular, so do yourself a favour and book early! One of Kenya's first settlements, beautiful Lamu island has retained its own character despite the influence of other cultures brought by hundreds of years of ocean bound trade. 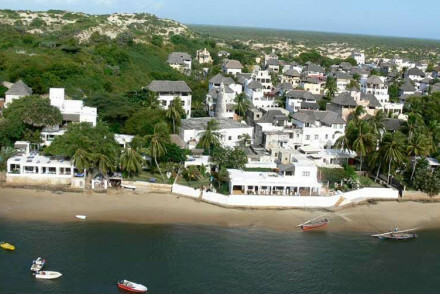 Best-known for having some of Kenya's best beaches, Lamu also has some wonderful Swahili architecture dating from the 14th Century, and the sights and sounds you'll hear on Lamu's winding, carless streets make you feel as if you're in a different age. Many of the best places to say in Kenya, if you're after a beach holiday, can be found here. Private and palm fringed, Manda Bay is perfect if you're looking for a peaceful escape. Accommodation is in sixteen thatched cottages, decorated with colourful local fabrics. You're right on the beaches and coral gardens, so there's plenty to do here besides relax. Beautiful and intimate amongst the Arab ruins, Peponi has been the place to stay in Lamu for decades, and is probably also one of the best places to stay in Kenya for honeymooners. Peponi began as a few rooms on the bay and has grown into a 29-room hotel with a lively bar and poolside dining. If you're heading to the coast for a beach break after your safari check out Kizingo, a sandy hideaway with a reputation for dolphin watching. 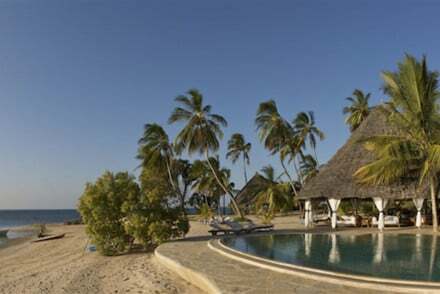 There are eight palm-thatched bandas, all of which have sea views as they're dotted amongst the sand dunes. As well as dolphin watching there's snorkelling, fishing, sailing, kayaking and body surfing. For luxury on the Kenyan coast, one of the best places to stay in Kenya is Alfajiri, a secluded group of just three villas with private beach access and lots of local activities. Don't just take our guru's word for it though, Brad and Angelina recently graced Alfajiri with their presence - staying in the Cliff Villa which has its own infinity pool and unlimited access to the local, international standard golf course. 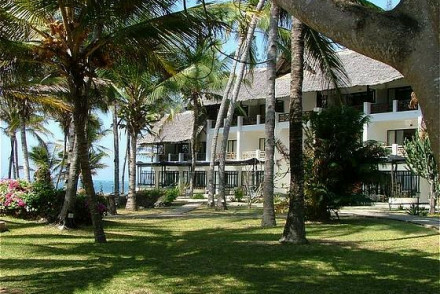 For a home-from-home feel (if your home was near the beach) we'd recommend Diani House. Sleeping up to 12, this was once the colonial home of the Archer family, and is now run as a very relaxed four bedroom hotel. You're close to the beach yet you're surrounded by greenery within a coastal forest, which makes dining al fresco all the more charming. Guests of Ol Donyo Wuas have exclusive access to one of the last remaining wilderness areas in East Africa, 300,000 acres of plains underneath Mount Kilimanjaro. 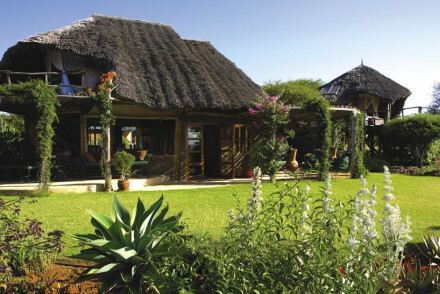 The accommodation is in seven bush cottages, with a communal dining area, pool and waterhole. Several of the cottages will comfortably fit a family, making this one of the best places to stay in Kenya if you're trying to give your kids an epic safari experience. On the banks of a large waterhole is Little Governors' Camp, a collection of 17 tents in an awe inspiring setting. If you like the BBC's Big Cat Diary this is where to book - they do a lot of filming just down the Mara river. 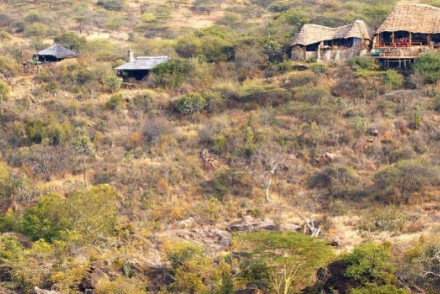 Loisaba is a small lodge with views across the Laikipia Plateau. Each of the seven stone cottages have wonderful views, as does the main building with its dining area, which can spill outside when required, and lounge with its fireplace. Remote and luxurious, check it out if you're looking for a luxury safari with solid accommodation. Borana is another excellent choice for people who prefer to sleep beside walls rather than canvas. Borana is both a game reserve and working cattle ranch, with views over the foothills of Mount Kenya. There's plenty of game here - lions, wild dogs, elephants - but you probably won't see another tourist. If you love the idea of the safaris of yesteryear, Ol Seki is the ideal choice. Its eight spacious tents are really exceptionally modern in design, but their mini-circus tent shape, lovely linen interiors and brass telescopes will make you think of pith helmets. Ol Seki has a reputation for both good food and good guiding. Hemingways Resort is a laidback beach spot offering simple yet chic accommodation and delicious food. Spend your days on the beach and get involved in any number of watersports before enjoying the lovely views at sunset. Msambweni House And Private Villas, set on gorgeous white sands, provides elegant accommodation featuring four posters and a large pool. Plus, you can ask their private chefs to cook up whatever you so desire! Elsa's Kopje Private House is a two bedroom lodge featuring Arab-style interiors and stunning views of the surrounding area. An intimate stay with private pools and the Meru National Park on your doorstep. 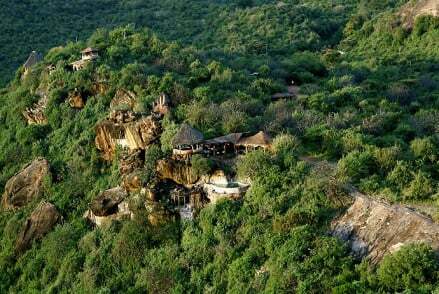 The eco-friendly Tassia Lodge enjoys a stunning setting atop a rocky bluff overlooking a conservation area. Their private balconies offers lovely views and you can treat yourself to a massage after a day out trekking. Kitich Camp boasts six tents with ensuite facilities, but is true wilderness accinnidation at its best - with no electricity or mod cons. 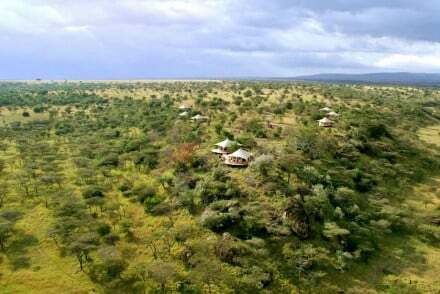 Spend your days fully exploring the Namunyak Wildlife Conservancy Trust. 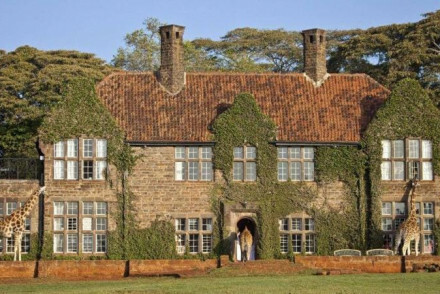 Giraffe Manor is a 1930s manor house by Nairobi National Park and with their own giraffes freely roaming around! 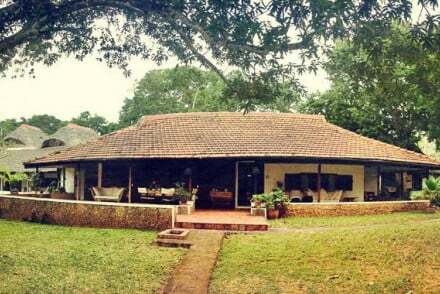 Safaris are included in the price and the accommodation itself is lovely. Tortilis Camp offers luxurious tents in Amboseli National Park with splendid views of Mount Kilimanjaro. Come back after a safari trip to relax by the pool with a cocktail. 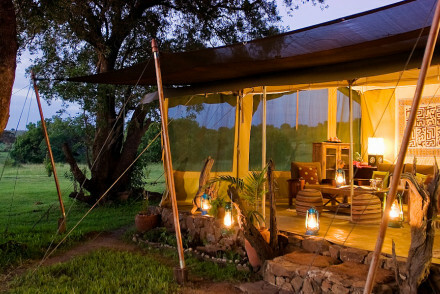 Rekero Camp provides comfortable tents located in the heart of Masai Mara. Relax in your daybed and watch the wildlife go by as you're waited on by a private butler! 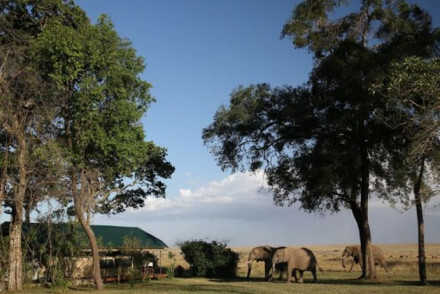 Kicheche Mara Camp overlooks the Mara North Conservancy, with 8 luxurious tents featuring ensuites and splendid views. Sabuk boasts private tents in a beautiful wilderness area. Marvel at the gorgeous views, relax by the pool or head off for the day camel trekking. 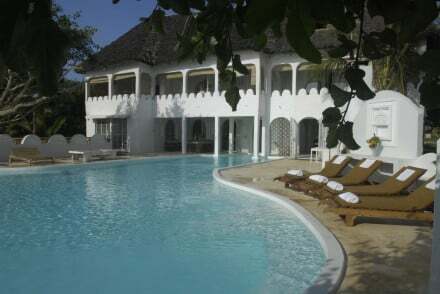 Mdoroni Villas offers two Arab/Swahili type houses overlooking the Indian Ocean. These are fully staffed and feature large living rooms as well as grand communal areas, whilst there's also an outdoor pool and luscious gardens. The best time to visit Kenya is probably between June and October, the dry season, when the average temperature is around 25°C and there's little chance of rainfall. This is also the best time to spot wildlife as the bush is less dense, as well as being when there's the least mosquitoes. That said, if you want to avoid peak season prices (and crowds), then aim to visit from November to May. Whilst there's more rainfall, the scenery is lusciously green and you have the opportunity to spot newborn animals as well as migratory birds. Kenya is served by four main airports, Jomo Kenyatta International Airport, Kisumu International Airport, Eldoret International Airport and Moi International Airport. Browse through our list of all the best places to stay in Kenya. Widen the net to include our list of all the best places to stay in Tanzania. A house that grew into an intimate hotel set by the calm waters of the bay. Arabic rooms painted in white with four poster beds and lovely sea views. Romantic pool dining area perfect for honeymooners. The popular fisherman's bar creates a lively atmosphere at night. Paradise. Beach Life - Watersports, sunset or moonlight dhow cruises, unspoilt beaches and ancient sand dunes make this coastal paradise. Fishing - Peponi’s deep sea fishing boat 'Little Toot' with its experienced crew offers some of the best sports fishing in East Africa. Local markets - Discover the Lamu Old Town on foot or by donkey (no cars on the island) and pick up some real treasures. Privacy and tranquility on a secluded palm fringed peninsula. Empty beaches, coral gardens and indigenous forest surround individual cottages, each vibrantly decorated with local fabrics and with private verandahs. A romantic, unspoiled and idyllic beach retreat with plenty of water sports. Beach Life - Make the most of the sun, sea and sand- from fishing to snorkelling and even trips on the hotels traditional Dhow sailing boat. Honeymoons - Private villas nestled in the lush vegatation, large beds draped with muslin nets and private couples dining under the stars. Local markets - The hotels boutique stocks local crafts from all over East Africa, from handcrafted jewellery to delicate beaded slippers. Fishing - Head out reef or deep sea fishing on the East African coast, famed for its range of sport fish. Cocooned in a coastal forest with pristine white sands and turquoise waters. A home from home with four beautiful bedrooms decorated in white with four-poster beds. A private retreat with plenty of beach activities, relaxing and an opportunity to explore the wildlife with a game drive. Honeymoons - Honeymoon heaven with desert island bbq's for two, sunset cruises in traditional dhows, and long walks along the private beach. Beach Life - White sands, crystal clear waters, deep sea fishing, snorkelling and diving- they have it all here! Local markets - Colourful local markets are within close range of the hotel, pick up some local traditional crafts. Fishing - The hotel has its own boat and deep sea fishing equipment to catch billfish, tuna or kingfish. 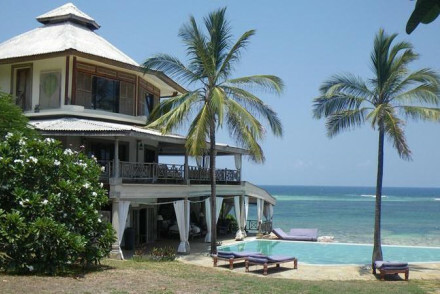 One of the finest properties on the Kenyan coast. This secluded group of three luxury villas offers privacy, romance and beach fun. Luxurious rooms with beautiful drapes and four posters. Enjoy meals overlooking the private beach. Relaxed vibes for those wanting to unwind. Honeymoons - Private villas oozing romance and luxury, with private butlers, infinity pools, al fresco dining and sunset dhow sailing trips. Total relaxation - Lounge by the infinity pool with a fresh fruit cocktail, stroll along the white sands or enjoy an in-room massage. Beach Life - Beach activities for all the family, from whale spotting trips to kite surfing, snorkelling and sailing. Diving - Diving and Diving Courses are avaliable on request, explore the unique marine life of Diani Beach. A luxurious beach house and private villas set on a pristine white sand beach. An option of suites, private villas and a luxury tent, some boast private pools. Elegant rooms feature four poster beds and neutral relaxing tones. An exclusive and glamorous choice with romantic outdoor dining. Hideaway - A luxurious and exclusive hideaway on a stunning beach, offering fresh seafood, an infinity pool, Jacuzzi and massages. Fishing - For a truly unique experience head out deep sea fishing in the Pemba Channel with local fishermen. Diving - This pristine beach offers one of the best diving spots on the Kenyan coast. A 1930s manor house not only set in a location surrounded by a vast array of wildlife but also housing a herd of Rothschild giraffes. Dine in elegant surrounds while being entertained by the giraffes who revel in sticking their heads through the windows. A completely unique stay. Back to Nature - With wildlife literally coming into the house and safaris included in the price this is a nature lovers dream. Families - A family friendly property and the giraffes are sure to keep children engaged. Great walks - Take a guided walk of the sanctuary. 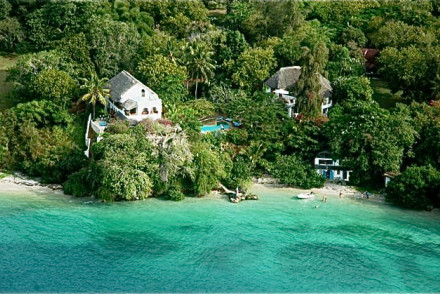 Two stunning, fully staffed Arab/Swahili type houses overlooking the Indian Ocean & Kilifi Creek. Large living areas and a grand communal dining table perfect for groups and exclusive hire. Fantastic outdoor terrace with swimming pool and tropical gardens. Groups - These chic villas come fully staffed for exclusive hire, with plenty of living space and great activities nearby. Birdwatching - Twitchers will be in heaven, there are ample birdwatching opportunities in the Sokoke Forest or up the Creek. Fishing - Pete Darnborough from Ocean Sports in Watamu organises Deep Sea Fishing trips for groups. 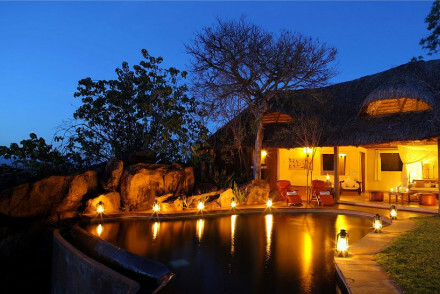 Explore the Meru National Park from this hideaway haven oozing romance, tranquility and luxury. Large rooms offer scenic views of the rugged terrain. A magical stay is complete with safari's where seeing animals is a sure bet! Relax by the pool or picnics by the river - a very romantic stay. Back to Nature - Meru National Park is a stunning location for viewing a wide variety of fauna and flora and learning about their conservation. Honeymoons - For added romance take Elsa's Private House with private living and dining area, garden and plunge pool. Great walks - Guided walks allow you to see the smaller things in life - racks, dung beetles, naked mole rats and micro-ecosystems. Sights nearby - The rhino sanctuary is home to 70 rhinos, both black and white, and is great to see. 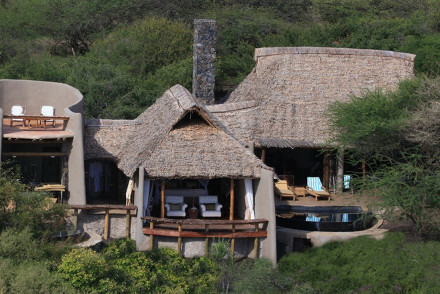 Intimate and quiet, this hideout overlooks the Mara North Conservancy. The eight glamorous tents offer bathrooms, views and a memorable stay. Relax in the antique filled living area tent, explore the Maasai Mara and indulge your inner-explorer. Perfect for all the family to stay for great value! Romantic Break - Make the most of your romantic getaway with luxorious tents, private dinning in the bush, sunset walks and spectacular views. Eco break - This resort runs a comprehensive Ecotourism and Sustainability policy to protect the local people, animals, and environment. Great walks - Together with a knowledgable ranger, you can explore the savannah on foot. Raised high, this eco-friendly retreat offers unobstructed view of the wilderness and wildlife from the six private bungalows. Rooms are comfortable and are all about being one with nature. Relax by the pool, get a in-room massage or get stuck into the nature activities that are the main draw. Active Holiday - Not a dull moment, from bush walks, to paragliding, camel safaris, cave explorations and horse riding across the plains. Honeymoons - Lie in your plush bed and watch the sunrise or arrange a romantic rooftop dinner under the canopy of stars. Great walks - Enjoy vigorous bush walks, tracking wildlife and learning bush craft and forrest walks to soothe the soul. Sights nearby - Visit to one of the local villages to learn about their way of life and meet members of the community. A diamond in the rough, this low-key and intimate camp overlooks the Ngeng River from its dense canopy standing point. Enjoy the views whether in your room, dining area or in the shower. Activities are much as expected - safari-centric. Enjoy a sundowner with a drink and the wildlife all around. Back to Nature - The Namunyak Wildlife Conservancy Trust is home to black panthers, rare monkeys, buffalo, lions, bushbucks and forest hogs. Honeymoons - Love is in the air on safari, with incredible sunsets, romantic tents, spectacular views, and relaxed al fresco dinners. Great walks - Head out on foot with the “masters of the forest”, the Ndorobo Samburu guides is search of rare animals, birds and plants. Birdwatching - Over 350 bird species have been counted in the area, including the spectacular and rare Hartlaub’s turaco. Stunning camp with overwhelming views of Mount Kilimanjaro. Luxurious tents with private bathrooms and always room for a small one. Enjoy the peace the quiet of nature in this intimate and stunning camp. Relax by the pool, enjoy the camps knowledge as you see the animals either on foot or in a jeep. Total relaxation - Whether its sitting by the pool sipping a cocktail, or enjoying the speciality massages- relaxation is on the cards. Local exploring - Immerse yourself in the Amboseli National Park, meet the Masai people and explore the vast wildlife filled plains. Great walks - Learn about the terrain, traditional uses of wild herbs, and the Masai way of life on a Masai guided walking tour. Sights nearby - Cultural visits include entering a Masai village and meeting the villagers. Award-winning luxury camp in the Great Rift Valley is a beautiful stay for all the family. Large tents offer comfort while surrounded by nature. Enjoy a drink at the bar, dinner with fellow guests and Kenyan sunsets. Explore the Masai Mara by jeep, foot or hot air balloon. A truly romantic find. Eco break - The resort runs a sustainable tourism program and renewable energy project to protect the local people and environment. Back to Nature - Between the months of July and October witness The Great Wildebeest Migration. 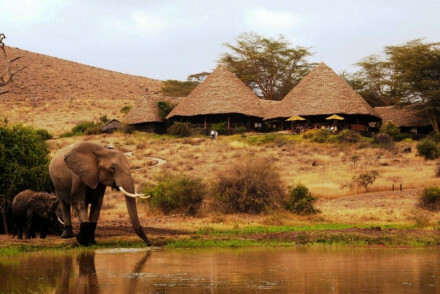 Luxury lodge with exclusive access to East African wilderness. Enjoy meals in the bush or on the terrace, a drink at the bar and sundowners from the hideout. Large rooms with pool, views and welcoming hospitality. A beautiful spot! Eco break - By working with the local Maasai people the resort has become a pioneer in conservation and sustainable tourism. Romantic Break - A romantic spot with stunning views and rooftop “star beds” for sleeping under the African skies. Great walks - Guided bush walks put your more on the ground and appreciate the smallers things in life. Private contemporary-designed camp in Naboisho Conservancy - the heart of the Masai Mara. The ten exclusive tents are crisp and comfortable with views overlooking the plains. Enjoy sundowners and bush walks, game drives and village visits. A tranquil spot in the heart of the Kenyan outback. Back to Nature - A charming spot where you can immerse yourself in nature surrounded by hippos, leopards, elephants, lions and giraffes. Honeymoons - Honeymoon heaven from champagne breakfast in the bush, to moonlight expeditions and romantic dining by candlelight. Local markets - Visit the curio markets where you can buy traditional Masai products crafted from weaving, beading and carving. Great walks - Bush walks are a brilliant way to see the surrounding area. Your ranger will know the lay of the land. 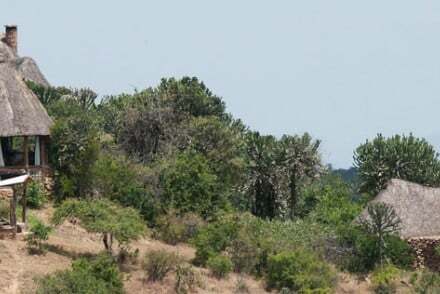 Sabuk is privatly owned land in North-Central Kenya. Families, couples and groups are invited to witness the wilderness and beauty that lies there. The comfortable tents offer wonderful views over the river. Game drives, camel rides and nature walks are all on the cards. Back to Nature - Immerse yourself in the Kenyan bush, meet local Maasai, identify useful plants and track animals. Romantic Break - Whether its a camel safari for two or sundowner drinks on the plains- romance is in the air. Great walks - Head out on a nature walk and learn what berries can be used for poisoned arrows, how to track a warthog and much more. Fishing - Fish the river with handlines to catch Barbels, Catfish and Tilapia. 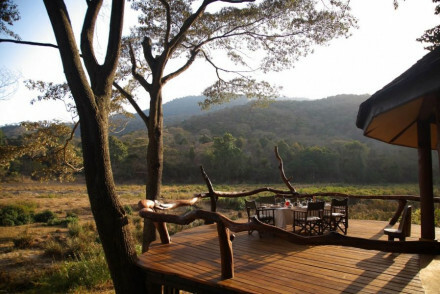 Panoramic views over the Samangua Valley, this family-run lodge offers eight romantic cottages. Enjoy the private terraces, stone fireplace and designer bath. Relax poolside with a drink, retreat to the cool living area or indulge in spa treatments. Explore nature from this working ranch location. Eco break - The Borana Conservancy is the non-profit dedicated to the sustainable conservation of this critical habitat and wildlife. Total relaxation - After a long days game drive, no better way to relax then with a spa treatment or better yet- a cocktail by the pool! Great walks - Guided bush walks are a tranquil ways to see wildlife, with slower pace and less noise you see so much more. Fishing - Fishing excurisions can be arranged and are a fantastic way to spend an afternoon. Take a picnic. Informal beach hotel with plenty to do and delicious food. Simple chic rooms with private balconies. Relaxed sophistication and fantastic sporting activities including big game fishing. A hotel with something for everyone. Loisaba offers two accommodation spots in stunning natural beauty - a tented camp with six ensuite tents, lounge and cosy fireplace; or 'Loisaba Starbeds' with four-poster beds set under the stars for a more authentic experience. Fantastic communal dining and excellent game drives. Truly romantic. Honeymoons - A romantic private ranch, with immpecable service, spa, and couples dining in a remote area of outsatnding natural beauty. Fishing - Fishing can be arranged in the river and dams, the camps will provide equipment and a picnic. Great walks - Head out on a guided bush walks to discover local flora, fauna and history.